Churchill Downs Incorporated on Friday celebrated the grand opening of Derby City Gaming, a $65 million state-of-the-art historical racing machine facility located at 4520 Poplar Level Road in Louisville, Ky. State and local officials and members of the horse racing community joined the CDI team to officially open the entertainment facility to the public. Derby City Gaming is a unique new venue, boasting 900 state-of-the-art historical racing machines designed in partnership with Ainsworth Game Technology. The décor of the facility pays homage to Churchill Downs' deep history in horse racing with references to Oaks and Derby throughout the property including pictures in the main entrance of the 144th Oaks and Derby winners and the opportunity to view the 145th Derby trophy. The property also features two quick-service, walk-up food venues, a center bar with large format televisions, and seating for over 60 guests to take in all the best sporting action year-round. “We’re excited to celebrate the grand opening of Derby City Gaming," said Kevin Flanery, President of Churchill Downs Racetrack. 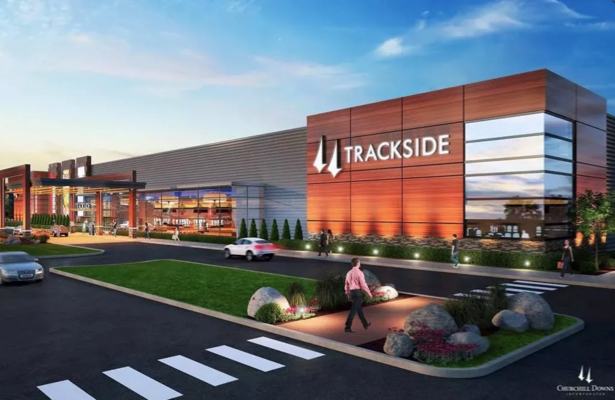 "Not only has this facility created hundreds of jobs and spurred tens of millions of dollars in economic development in our hometown of Louisville, but HRMs will provide desperately needed revenue to Kentucky purses and will help shore up the racing circuit."